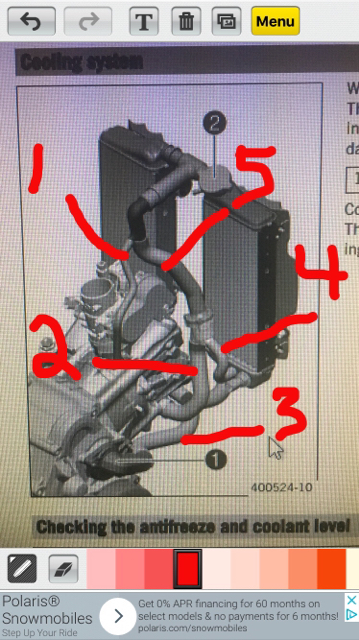 Help with coolant flow diagram please. 70deg. Can someone please identify what’s going on here? Is this correct? #1 is there to bleed the cylinder head. To prevent air from getting trapped and causing overheat. #4 is a bypass to let the coolant flow whe the termostat is completely closed.